The photo I'm using for this one has been in my stockpile for years. you may recall seeing it loosely rendered with the painting knife. I've always wanted to paint it traditionally, but the detail scared me to death. If you've noticed, by design, my work has become looser and more "painterly" lately. It's not been easy...and I'm nowhere near where I want to be. But I must keep painting! So...I've decided to give it a go. This one will test my mettle. 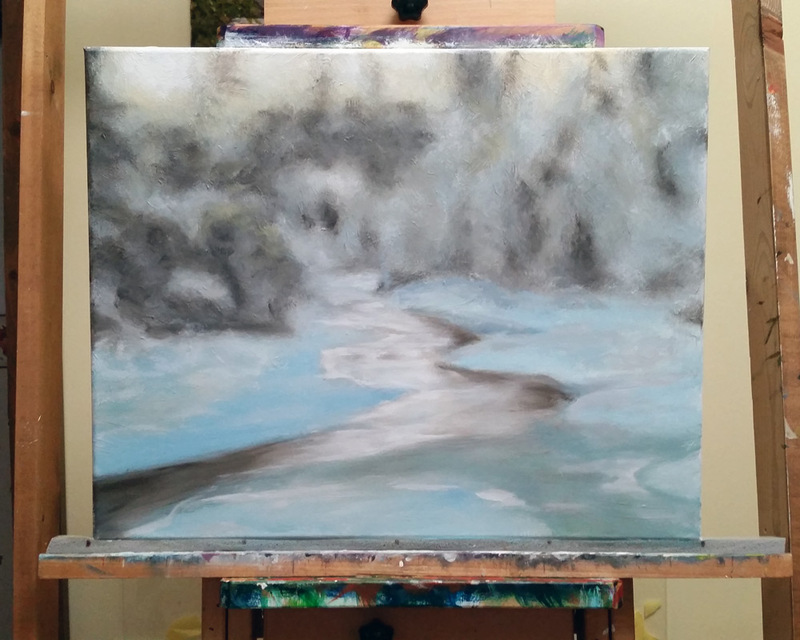 "Trout Brook Winter 2" is underway.